​​The Pandemonium Charitable Trust is made up of five percussionists: Emma Cullen, Roanna Funcke, Vicki King, Brett Painter and Jeremy Thin. You can read about each member below. Pandemonium have performed with several international guest musicians over the years, including Ney Rosauro, Emil Richards, Gareth Farr, Gert Kilian and Doug Brush. Past and guest Pandemonium performers and trustees include percussionists Chris Bruerton, Scott Chappell, Chris Chirnside, Steve Fischer, Martin Genet, Craig Given, Rachel Jeffries, Giles Nantel, Craig Thorne; bassists and guitarists Michael Bell, Todd Jones and Paul Thompson; brass and reed players Oliver Devlin, Margot Gray, Jack Harré, Jacob Murray and Prang Rojanachotikul; vocalists Jason Wilcox, Henare Kaa and Leigh Wilson, dancers Ra McRostie and Emily Napolitano, and fire artist Pascal Ackermann. Roanna completed her Bachelor of Music with first-class honours in Performance Percussion at the University of Canterbury. Roanna is Associate Principal Percussionist with the Christchurch Symphony Orchestra and has also performed with the NZ National Youth Orchestra, Southern Sinfonia, Pandemonium, Christchurch Bicycle Band, Woolston Brass and the National Band of NZ. 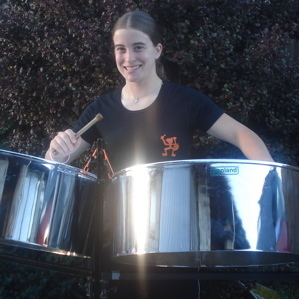 Roanna is a multiple NZ Brass Bands Association ‘Open Percussion Solo’ champion. Roanna has worked as “Artist in Residence” at two Christchurch secondary schools. She has toured internationally as a soloist on multiple occasions with the National Band of NZ and Woolston Brass. Roanna is currently Assistant Music Director of the Christchurch School of Music and teaches in schools around Christchurch. 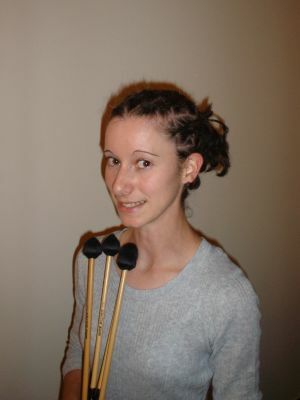 Vicki began learning percussion at the Christchurch School of Music in 1996. 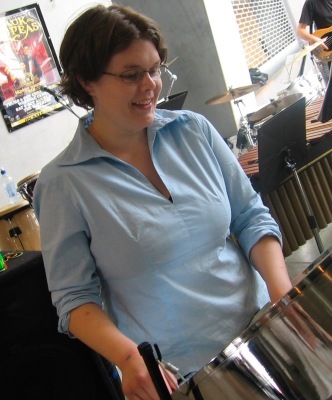 She is currently teaching percussion around Christchurch and has performed with various groups including the Christchurch Symphony Orchestra, New Zealand Youth Orchestra, and the Woolston and Canterbury Foundation Brass Bands. She has also performed with choral groups and a university show band. Vicki has completed a Bachelor of Arts at Canterbury University and an animal management degree through Auckland University, and now works at the Christchurch Antarctic Centre. Brett is a professional musician, music teacher and environmental scientist. 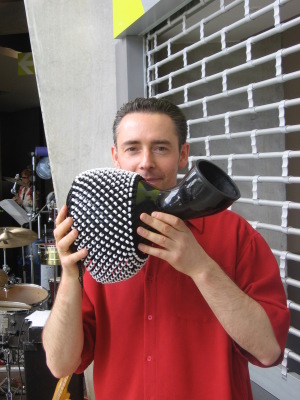 He is the principal percussionist of the Christchurch Symphony and has also performed with the NZ Symphony Orchestra, NZ Youth Orchestra, Auckland Philharmonia, the Canterbury Percussion Ensemble, brass, rock and jazz bands, and in pit orchestras for shows. These groups have provided Brett with the opportunity to perform with international artists ranging from Dame Kiri te Kanawa to Diana Krall and Elvis Presley's Band. 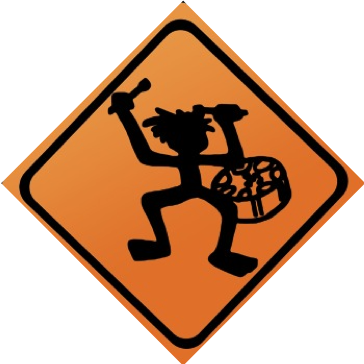 Jeremy has played music from an early age and has Performance Percussion and History degrees from the University of Canterbury. 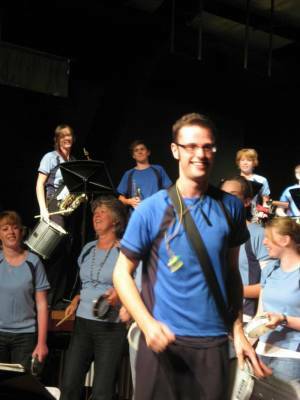 He is currently sub-principal percussion with the Christchurch Symphony Orchestra and has also performed with Southern Sinfonia, NZ National Youth Orchestra, the Court Theatre, Showbiz Christchurch, Woolston Brass, as well as Christchurch world music groups Pandemonium, Wontanara and Mundi. Jeremy has taught music from primary to tertiary level and currently teaches music and history at Rangi Ruru Girls' School in Christchurch.